Last week a friend and I dropped by Miniso–Japan’s unbelievably cute version of a “dollar store”–when I came across their new Hello Kitty makeup line. While the colors are usually not in range for me (Miniso is only sold in Southeast Asia), today I thought I’d give it a shot. 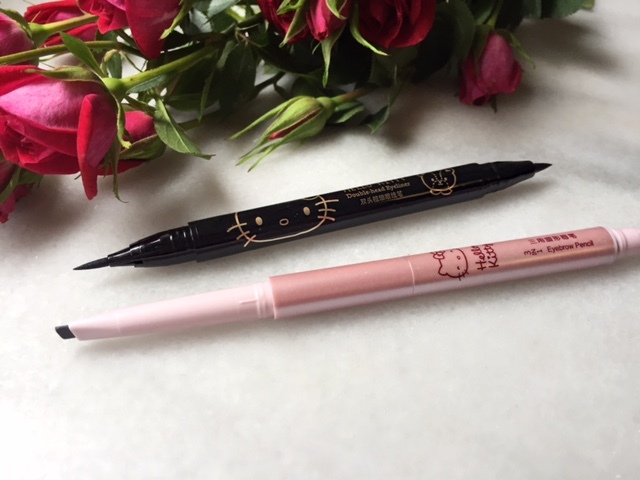 For $2.91 each, I picked up the Hello Kitty 3-in-1 Eyebrow Pencil in color “01” and the Hello Kitty double-headed eyeliner. You might say “Wow! 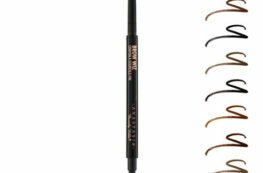 That’s cheap,” but it’s actually on the expensive end of drugstore makeup prices here. 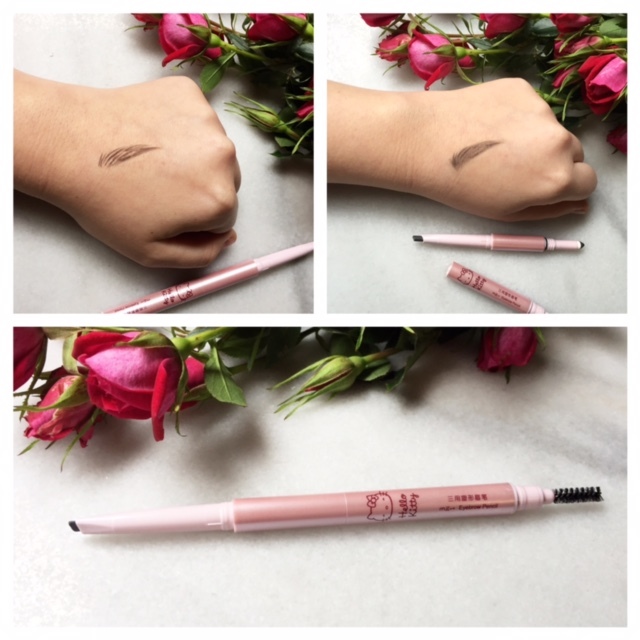 I was pretty sure the brow color was still out of range for me, but the shape of the liner bore striking resemblance to the Anastasia Beverly Hills Brow Definer, so I knew I had to try it. 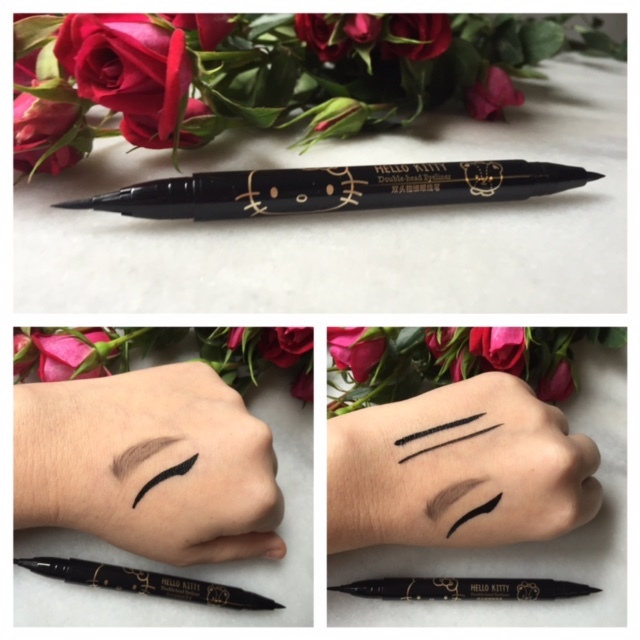 As for the eyeliner, I was looking for a local dupe for Stila’s Stay All Day Waterproof Liquid Eyeliner–my holy grail liner. The Hello Kitty items were both about 90% cheaper than my current routine, so it was worth a shot! The brow liner itself was a really strange color–something I’d never seen on the makeup color spectrum in the US. It can really only be described as an ashy, slightly brown.. black. It’s definitely still a black. It was the lightest color that Miniso carried, and I’m still not convinced that this is a natural hair color for anyone. The smudger was one of those smudging/blending sponges commonly used in “smoky eye” liners, except for one big difference: it was pre-colored. The color inside the sponge was black.. even more so than the pencil. As for the spoolie, it was pretty standard. Not as good as the ABH Brow Wiz spoolie–which is what I think this product needed–but on par with the ABH Perfect Brow Pencil’s spoolie. Eyeliner: The eyeliner had 2 heads–for a fine line and a more bold line. After using it, I’m not totally sure why it has two heads; I think one would’ve been fine. What stood out to me the most was how STRIKING the black was. This liner is probably the blackest black I have ever seen. After swatches, I was pretty sure this wasn’t going to go well. The brow color looked altogether too black.. there was just no way it could look good on me. Pretty much exactly. The color almost exactly matched my roots. From previous photos, I had thought that the medium brown brow color from ABH was a little too light or reddish for me, but now here I am trying on a light black(?) and it looks perfect? Color me confused. I, then–mistakenly–tried to use the smudger throughout my arches, but it was way too black for me. The spoolie didn’t do much in the way of blending. In the fluorescent light of my bathroom, I thought the brow color still looked a little dark, but later, in pictures (using sunlight) it looked great. As for the liner, it applied quickly, fully.. perhaps too quickly. It was easy to overdraw. I ended up using only the thin end of the marker, because the thicker end just filled in too quickly. It was easy to fill in between lashes–to make my lash line look thicker–using the thin end of the liner. 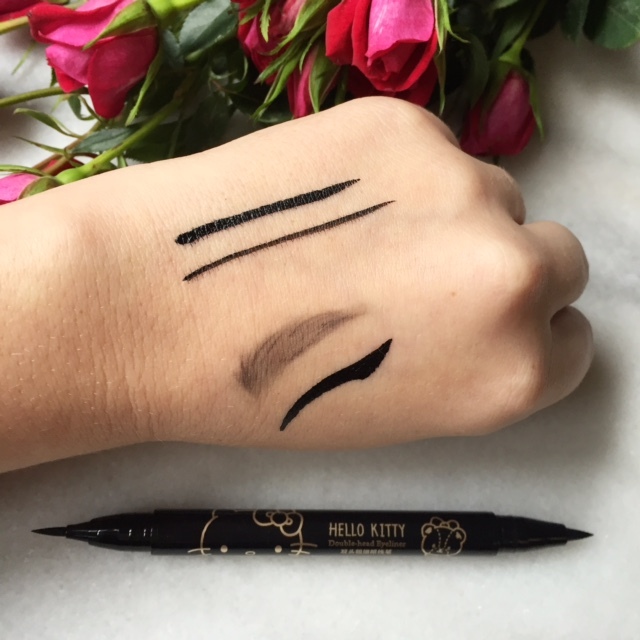 The Hello Kitty liner is almost an exact replica of Stila’s Stay All Day Liner, except that it’s a little less easy to handle. With some practice, I think it could easily replace Stila in my makeup bag. I do have to say that it was way too much eyeliner for a Tuesday morning, but such is life. The look wore well throughout the day, with a little straying of the liner from my lash line (from me touching my eyes), but I also didn’t wear primer, so that’s to be expected. 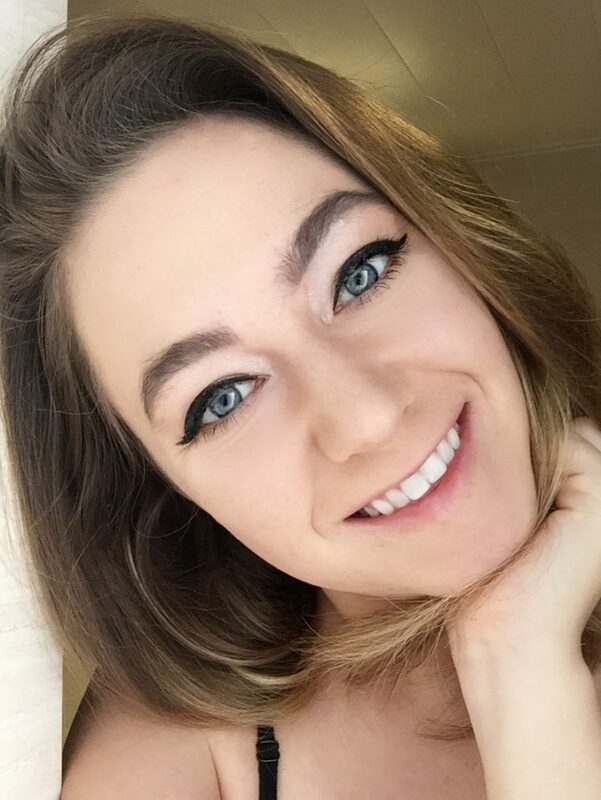 For the brow color, I had to wear it another day and ask my boyfriend, “Is this too dark for me?” to which he said “a little.” Given that he rarely notices anything makeup-related, I’ll take that as a yes. I guess the only takeaway from my little brow color experiment is that not all lighting is equal.. and when in doubt, ask a friend. The brow color may work as a second color from my arches out–as a good brow filling should involve two colors–but I have yet to try it. 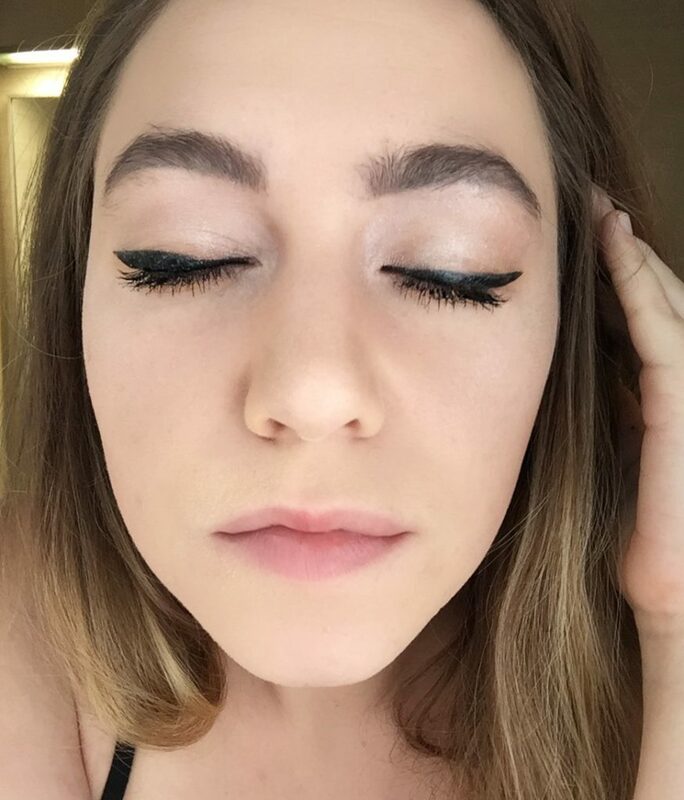 I’ll keep wearing the liner and let you know how it goes! I’m always on the look-out for cheaper makeup replacements. Beauty Q&A: What’s the Best Liner for Brows?